Welcome to Firenze. The photo above shows the Basilica di S. Croce in the side street to the left of which you will bump into a wine bar and restaurant called “Baldovino”. The No. 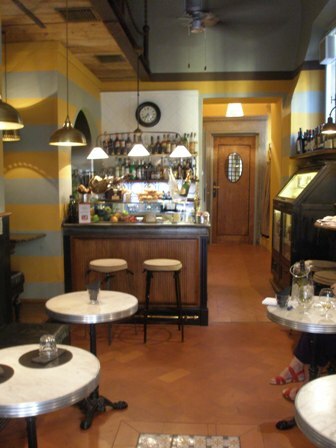 5 “must see place” on Giuseppe’s Firenze map was Baldovino, a ristorante/pizzeria with a wine bar (an enoteca) next to it. 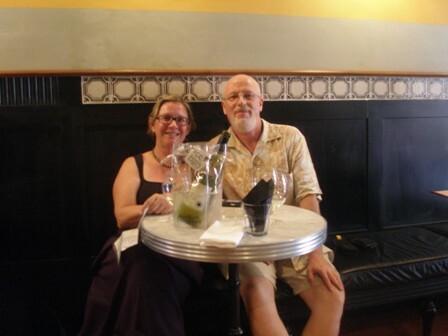 We patronized the “enoteca” to have a glass of wine. 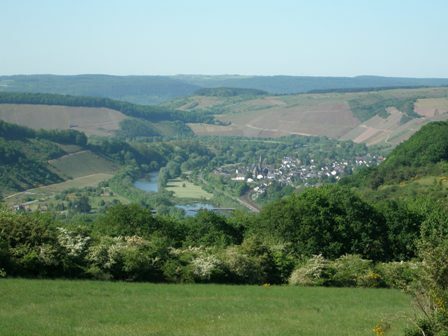 It was a late afternoon with a blue sky and beautiful sunshine. The waiter was very friendly and made us feel at home immediately. 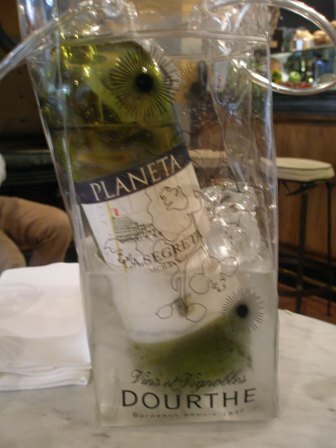 We ordered a bottle of white. 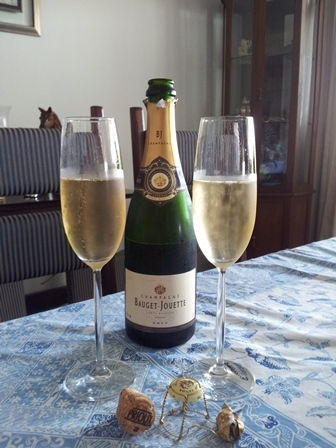 It was hot and white wine seemed the right stuff to get ready for another splendid evening in Florence. 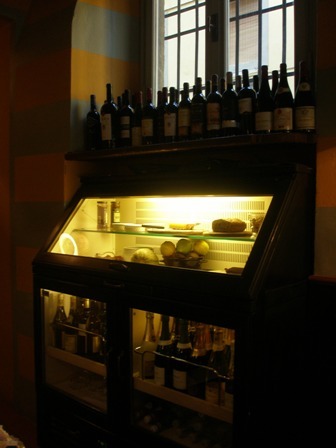 Enoteca Baldovino is a very lovely place to hang out on a warm evening. 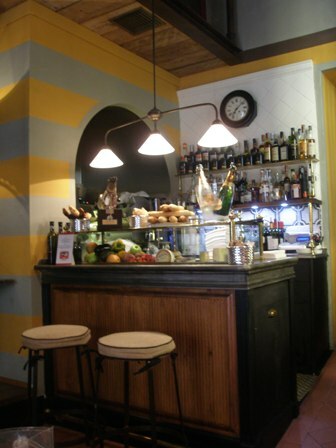 If you are hungry you can just walk over to the restaurant Baldovino next door. 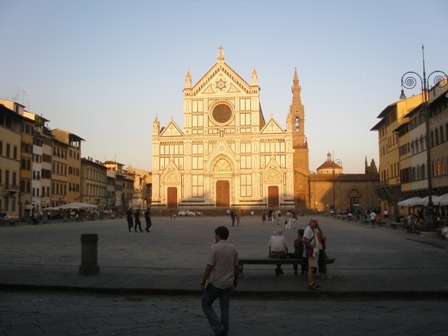 One can also sit outside in the piazza and watch the passers by on their evening “passagiata”. 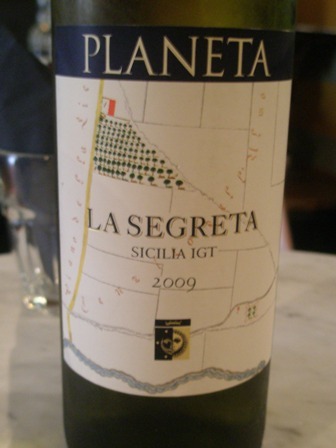 We ordered a bottle of ‘2009 La Segreta Bianco’ by Planeta, Sicilia. 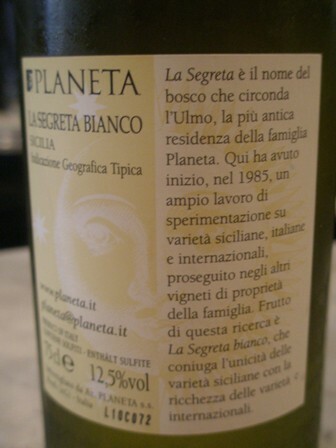 This is an easy drinking blend of various grape varieties but with the bulk coming from the Grecianico grape.